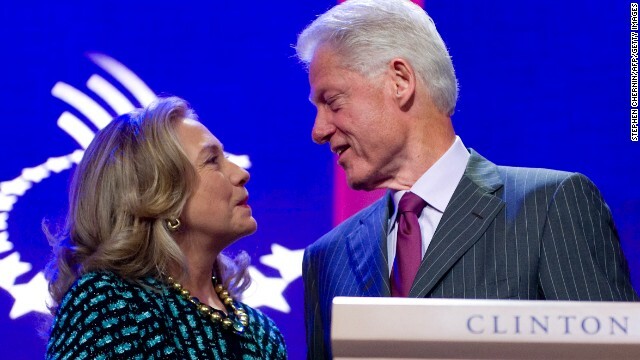 Chalk up another milestone for Bill And Hillary Clinton. The powerful political duo is returning to Arkansas for Friday's dedication of the Bill And Hillary Clinton National Airport. The Little Rock airport will be the first in the United States to be named for a president and first lady. Bill Clinton is the 7th president whose name will be on a medium to large-sized airport. The others are New York's John F. Kennedy International, Houston's George H.W. Bush Intercontinental, Washington, D.C.'s Ronald Reagan Washington-National; Grand Rapids, Michigan's Gerald Ford International; Springfield, Illinois' Abraham Lincoln Capital; and Dickinson, North Dakota's Theodore Roosevelt Regional Airport. As for Hillary Clinton, she's been a first lady, a U.S. senator, a secretary of state and now an airport will bear her name. What could possibly be next for her?